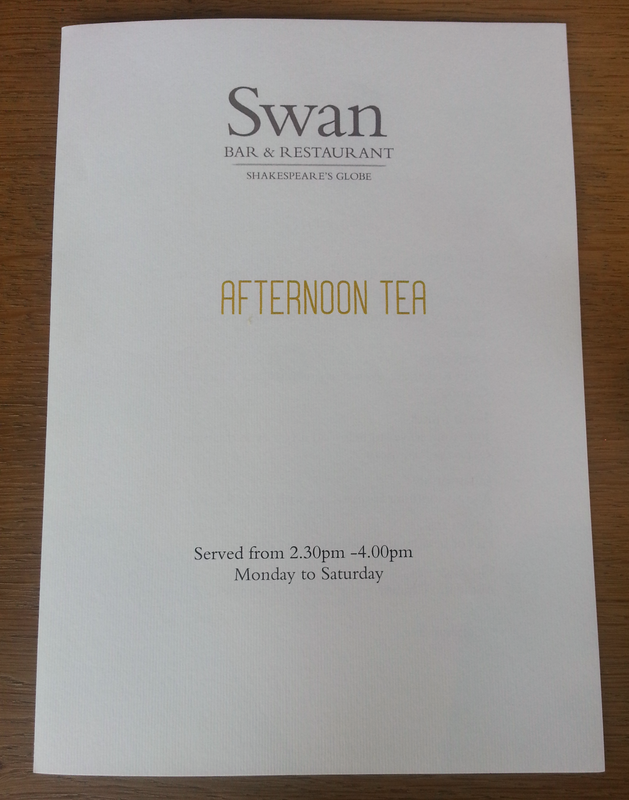 This past Saturday Fi and I were treated to afternoon tea at The Swan Pub on Bankside. This was a birthday present – a pretty awesome one if you ask me – from our Aunt and Uncle. The present also included a tour of Shakespeare’s Globe Theatre. 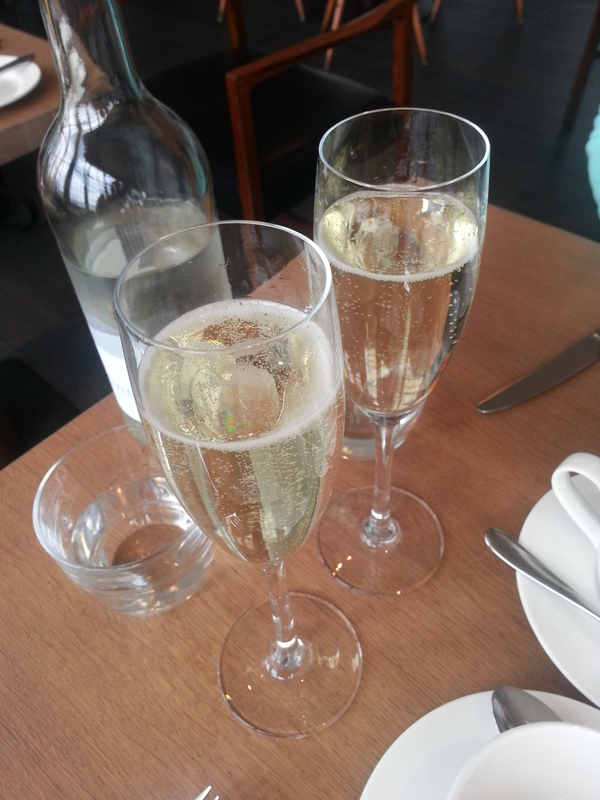 So we did our tour, wandered around the exhibition and then headed next door for a champagne afternoon tea treat. There’s something so perfectly British about Afternoon Tea isn’t there? Plus added champers? A totally winning combination in my opinion! So afternoon tea at The Swan looked a little something like this. – Brioche finger rolls with four different fillings; cream cheese & cucumber, egg & cress, ham hock & mustard and smoked salmon. 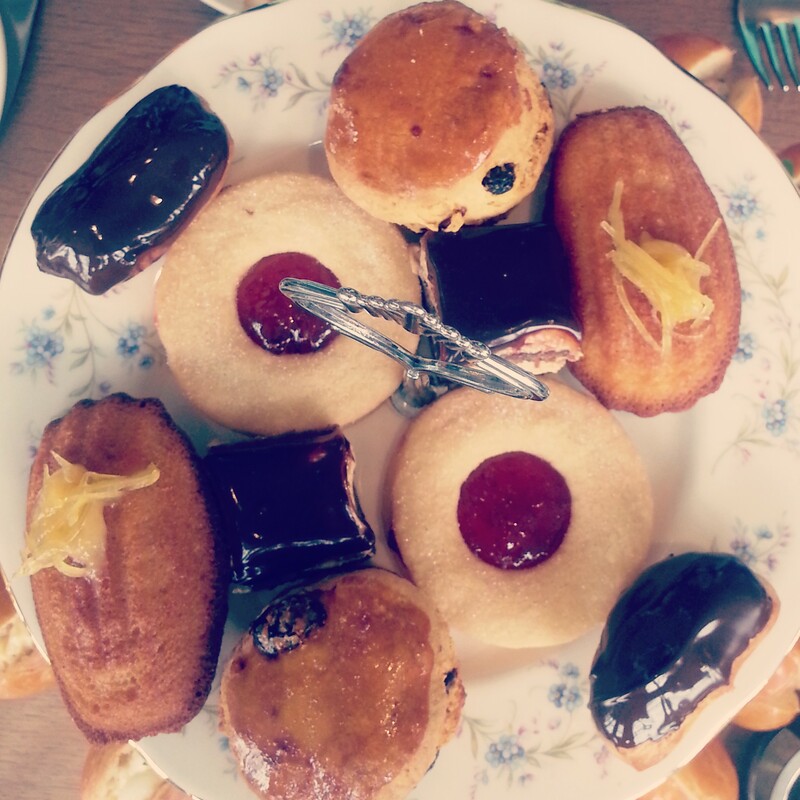 – cakes, so many cakes; shortbread jammie dodgers, mini chocolate eclairs, coffee opera cake and lemon curd madelines. I think you’ll agree that it’s a veritable feast for anyone’s taste buds. Now here’s a pic of Fi enjoying herself! There aren’t hundreds of types of tea to choose from, like at some other hotels, and you don’t get offered seconds (or thirds) of the food but there is plenty of food to go around. And it’s a decent option if you want to do Afternoon Tea without spending lots and lots of your hard-earned cash. Finally I really must recommend that you do the tour of The Globe Theatre – it was so interesting, very informative and the building is spectacular. Did you know it’s there is no metal in the construction? It is held up by over 9,000 wooden pegs – how amazing is that? 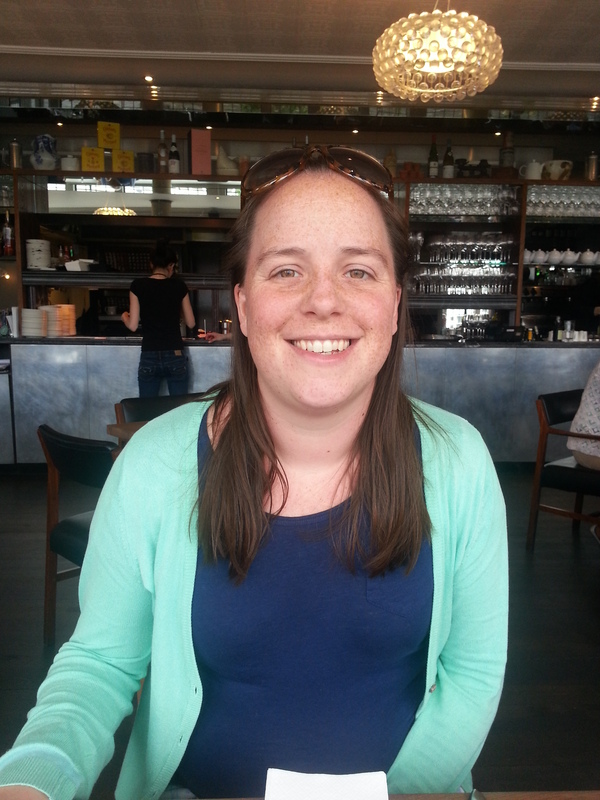 This entry was posted in reviews and tagged afternoon tea, cakes, London, review, shakespeare, the globe, treats by Laura @ This and That blog. Bookmark the permalink.